Happened at YMCA grounds today for an invited audience. Organized by MARG, I was fortunate to be a part of this concert. Hariharan ji, Chitra ji, Blaaze, Sivamani ji, Aslam Naresh Iyer, Tanvi, Rayhana ji and Ishrathi ji, Dr Narayan, Neeti Mohan, Ujjaiyini, Benny Dayal, Sayonara and I were the singers. During the rehearsals yesterday there was this short session where Hari ji, Aslam and Dr Narayan were sitting around and Hari ji was like giving us a mini class on how to execute speed. It was enough to just hear him sing. I had grown up on a staple diet of his Ghazals. I got to sing Kaadhal Rojave, Vaaji and Vennilave with Hari ji, Maduraikku pogadhedee with Benny and Tere Bina. There was an unplugged session with Chitra and Hari ji after which I sang a few lines of Sahana in a scale God knows where I caught from! After the concert, Mom and I happened to get talking to Neeti and when she was saying there are thousands of people out there who are dying to be standing on the same area as Rahman sir, not to mention sing with him. Also, this was Rahman sir's first concert for 2008 and it happened in Chennai. This is also my first major concert for this year, though I did have a couple of corporate shows earlier in January. 2007 started at Bombay at the Nokia New Year's eve concert with Rahman sir, and the year was brilliant. Somehow I attach quite a lot of sentiments as long as Rahman sir's concerts are concerned. I wish I could have sung better, somehow and the depression is going to last a few months at least. These are times that I wish the earth would swallow me up or that I never existed at all. bleargh. YMCA concert was fantastic and i was extremely lucky to get a pass. There were only 14 rows which divided me and AR Rahman...!!! I couldn't believe it at all.The performance of the artists were too good and of course the unplugged session was a surprise gift. Any way a wonderful evening to cherish for a life time. Always you are the best. Congrats. Keep it up. 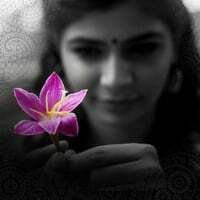 Hey Chinmayi, Am sure you did very well...good luck for more concerts & more of singing! Did everyone forget the camera? Perhaps a few borrowed pics...maybe? They did not allow anyone to take photos..we took out our camera and one guy started screaming at us..ha ha! i was just another audience, but was completely mesmerized the GOD as well as all the great singers. It was one of the best i have seen oflate, so professionally organized and captivating performances. ila: dont think it will be telecast anywhere ! rtandons: thank you very much ! there were very many technical issues, i'm guessing... and i'm mighty sure the stage monitors sucked! You got great flexibility, rendering of malayalam was pretty good. Waiting for more such variety albums and film songs not only in tamil but also in other languages. Who was the female singer who sang mayya in guru ? Was it tanvi or ujjaini ? titto: the girl who performed this song is neeti Mohan.. you would know her from the band AASMA. I was at the concert and I thought you were particularly very good. I thought the crowd was a bit rubbish yesterday. Few questions if you wouldn't mind answering them. Who was the female singer of "Nee Marilyn Monroe"? I thought she was brilliant. Is she the one who sang the original song? Why didn't you sing Mayya Mayya? I was the one who posted anonymously(by mistake) last time. when you sing, you vary your voice a lot. I've not noticed this in any other singer. My friend who was sitting next to me went, "dude, she's singing in a different voice.". and I'm still not over Neeti Mohan. You looked tensed a bit but rendering was pretty good.I felt Hari didn't start out quite well but Tamizha and Venillavey were blemishless..ARR rocks..You are gifted. Keep it up..I had a wonderful evening with my wife.. I was blessed with a pass too and was truly delighted to be a part of the Rahman experience!! Congrats fr being a part of Rahmans show!!! I missed the show.Anyways one day in my life time,i ll surely watch ARR live in concert n fulfill my dreams!! !waiting fr that day....i am a gr8 fan of ARRahman ji n hariharan ji!! !Hope u sing a song with hariharan ji in near future!! !Please tell me which song u like the most in rahman jis(both hindi n tamil) composition and hariharan ji(both hindi n tamil)voice..
Hi Chinmayi, you had mentioned that this was A.R.Rahman's first concert for 2008. Are there more concerts in the pipeline? why do folks india refer to colleague's/bosses/Legends with a 'Sir' or a 'Ji' or a 'Anna' appended to the name . we all know that these people are Legends - then why the appended name. well i dont see it happen in the west - so just thouught it was funny. Anonymous: Weird that you find it funny.. In case you don't know its considered as a mark of respect. The culture in the west is different from ours.. Rahman ji is like my Guru. Unlike a lot of people, our culture has tameez. Do you know what that is?? Chinmayi, check out galatta.com, good review about concert. you carry respect in your mind and heart - i don't see that becoming less or more with appended names. anonymous: Not a problem, as long as you understand everyone has their own perspective and habits that they cherish, we are good to go :) As I said, its in my culture to not call someone I respect, and someone I hold in the position of a Guru by name. There is a practise with classical musicians, that if you take your Guru's name even to mention it to someone, as in who you are learning from, you touch your ear, symbolic of asking forgiveness for saying his/her name. This is the tradition I have imbibed in me, and I will pass it on to the next generation as well. sathish: It happens on its own.. not that I try to do it.. as long as its good, I ll live! bharath: there are too many, cant choose one! Thanks Chinmayi for the response. Eagerly waiting for a live concert in the US. This is an account of the fabulous experience in Oakland/SFO last year. Just wanted to share the magical experience. Hope they telecast in SUN /VIJAY. Pity that I couldnt make it to the Chennai concert.. but the last one was at Toronto and was very memorable... hope I catch you on stage sometime.. kudos ! thats wonderfull concert.. unfortunately i couldn't able to make it there..ur song selection was too good chinmaye..tere bina shud hav rocked along with AR bhai..do u hav any idea in which channel its telecasting..will make my presence in the next concert..
You perfomed great at that concert.I was very curious to know about the dance group that perfomed that day.Do you know the name of it.That was a great performance right??? ?